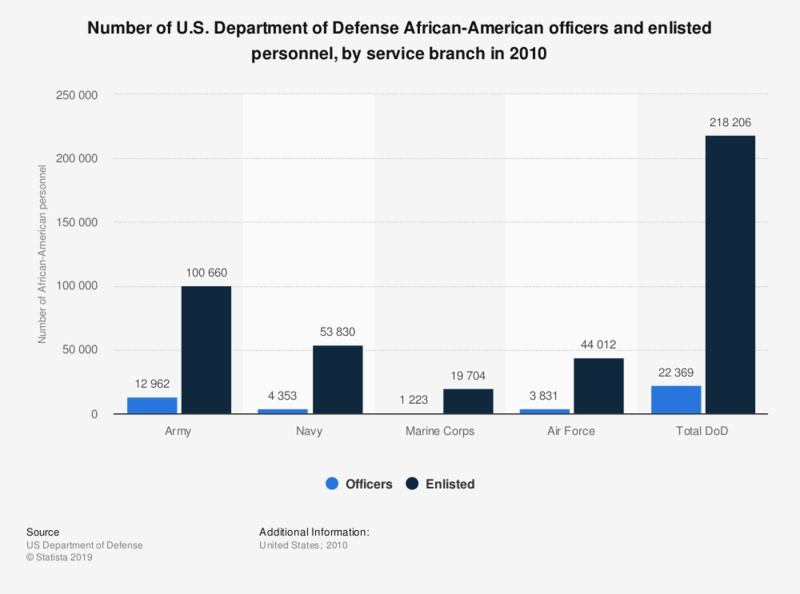 This statistic shows the number of United States Department of Defense officers and enlisted personnel who were of African-American heritage in 2010. The numbers are distinguished by particular service branches of the DoD. In 2010, there were 3,831 African-American Officers in the United States Air Force.